The Visio Pro features TUSA's all new Crystalview Optical Glass treated with a proprietary anti-reflective (A/R) and ultraviolet (U/V) coating up to twenty layers thick. 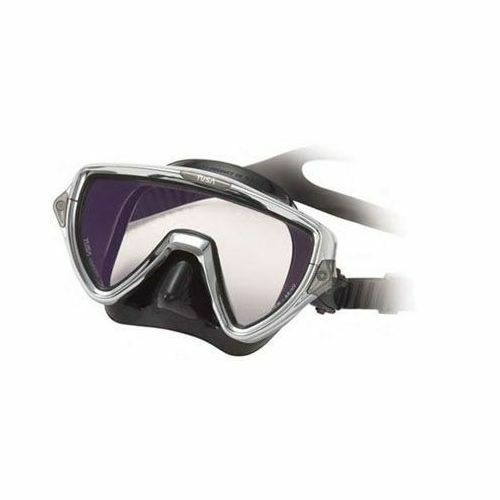 This unique Crystalview AR/UV lens offers the diver enhanced color, clarity, contrast and eye protection without sacrificing light transmission or vision on the surface or underwater. The Visio Pro's lens is protected by a special edition two-piece chrome frame and black surgical grade silicone skirt.